A Celebration of Life will be held on Thursday, April 11, 2019 at 6:00 p.m. at Cox Memorial Funeral Home Chapel with Pastor Ray Moore officiating. The family will receive friends immediately following the service at the funeral home and other times at the home. Chris was born in Sanford, North Carolina on January 3, 1976 to the late Roy Thomas and Rachel Baker. 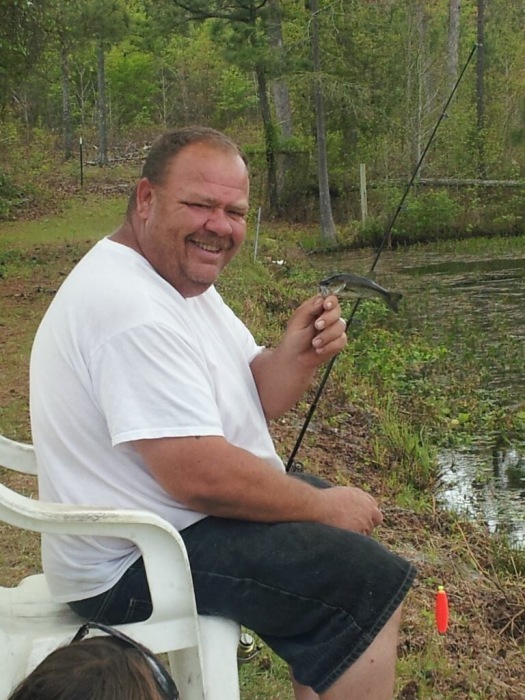 He worked as a landscaper and enjoyed fishing but the true love of his life was his family. He had a passion for animals and had a wonderful smile that could light up a room. He touched so many people in some small way throughout his short, yet very memorable life. He is survived by his wife, Kristy Mouberry Thomas; children, Dakota and Daytona Thomas of the home; sister, Rosemary Stone (Frank) of Sanford; special cousin, J J Baker also of the home, a special furry friend, Novalee and a host of nieces and nephews that he loved dearly. He is also survived by his mother-in-law, Angie “Ma” (Myke); father-in-law, Ray (Kathy); inlaws, Tonya (Chris), Brittany (Willie), Katie (James), Lindy, Donnie (Erin) and Rusty.